Interstates closed….record cold….planes skidding off runways….ENOUGH ALREADY! Get on a train if need be & head south. Yeah we’re all sick of the cold but have faith…. spring will be here shortly just like April 15 tax deadline. mind…. but he did get the last flight out of Philadelphia to come & visit his Grandparents Phil & Linda McNeal in central FL. 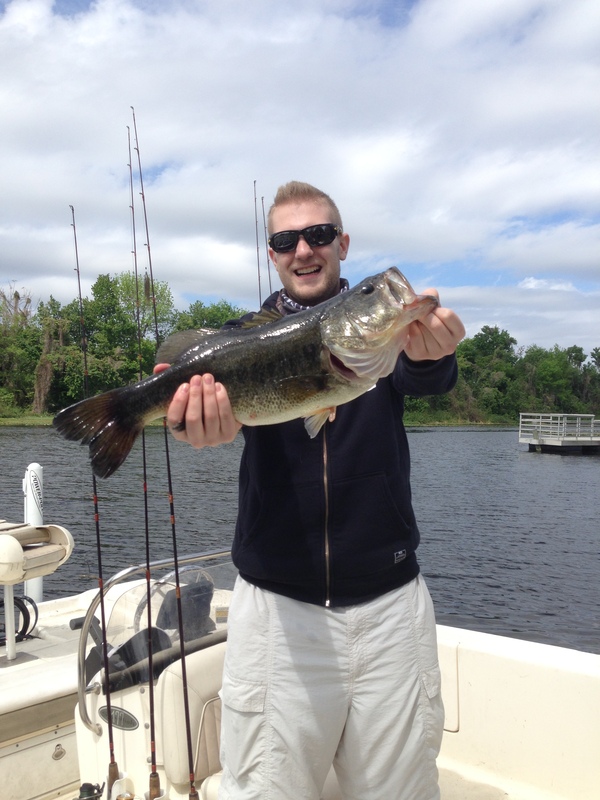 Grandpa called me for a fishing report…. after I told him to lose my number – on the Harris Chain of which I replied that the bite is on & come over. 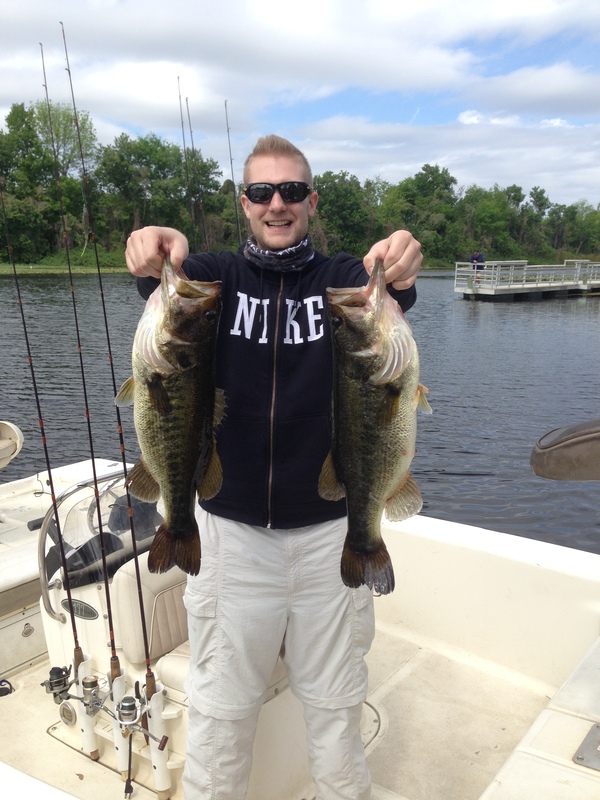 BUT there’s 2 tournaments Saturday out of Hickory Point….maybe 100 boats. Even though, we should be able to beat them to our spots because of the contestants locking thru Haines Creek to get to Griffin….& we were fishing Griffin. We almost made it to our prime water when my partner Don Millich & I noticed a wide open throttled Ranger coming into Griffin from Haines Creek….never skipping a beat….thank God no spec boats were coming thru because he’d have T Boned em….his partner had to have white knuckles…. I tournament fish too but this guy was way off the chart for safety infractions. Once to our location Grandpa Phil & Corey took the left side of the cove while Don & I stayed to the right. Within minutes we HEARD GRANDPA hollering and saw him land a nice fish. Did I mention we had a wager for the bigge$t single ba$$?!?! See last line of 1st paragraph. Gotta have enough to cover it ya know….boy was I in for a rude. 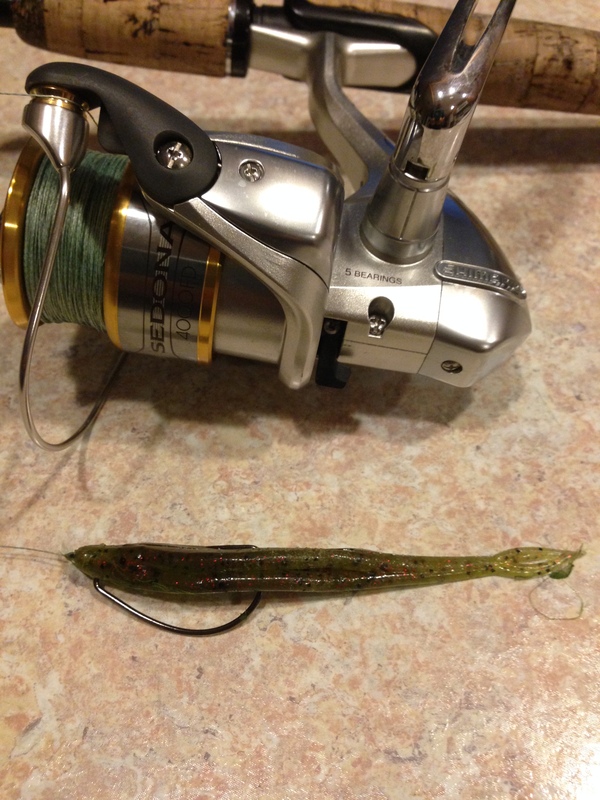 Don Millich started catching them left & right FROM THE BACK OF THE BOAT – I’m still practicing casting….hmmm somethings wrong with this picture so I changed baits & put on a fluke. 20# braid on a spinning rod tossing flukes into the next zip code was the answer. Erratic retrieve as always worked…. thrown anywhere…. not targeting anything particular….just open water. Tick – line moves – cross his eyes! 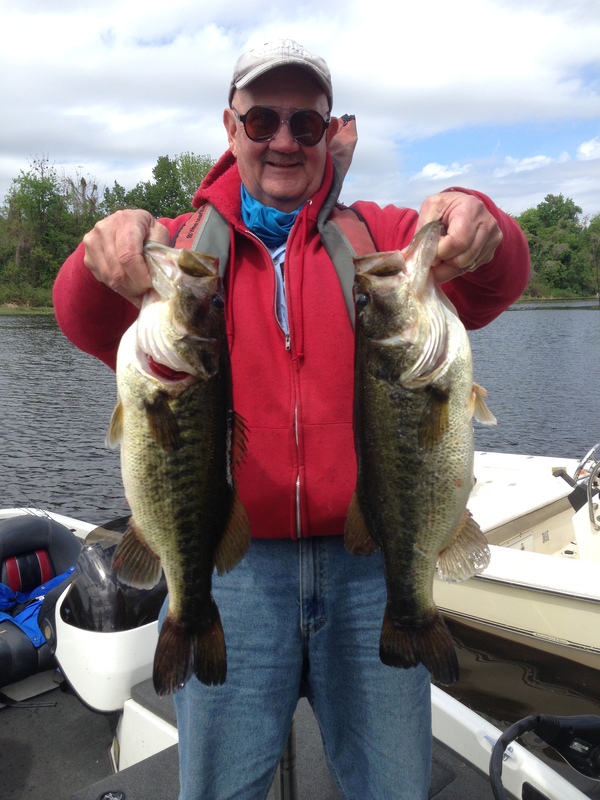 Don & I caught over 30 bass in 4 hours – mostly bucks ….yeah we/ME missed em too…. but boated the largest ones. Once back at the ramp it was time for show & tell. Still waiting for Grandpa Phil’s 7 lbr he said he caught. I guess playing guide for his Grandson Corey was too much because Corey put it on him. Sometimes it does pay to fish out of the back of the boat. You can bet one thing for sure…. With the bite on I’ll NOT be on the “Next train to Clarksville!” I’m staying here!